LONDON: 28 DECEMBER 2005 - On 3 November 2005, the Company announced, further to the announcement on 28 October 2005, the terms of the agreement to acquire St. Barbara’s entire gold exploration and mining assets in the prospective Meekatharra Belt of Western Australia, subject to Shareholder approval. The total purchase consideration will comprise of A$18 million (£7.56 million) in cash and New Ordinary Shares plus the adoption of environmental bonding requirements of A$2.684 million (£1.13 million). Due to the size of the Acquisition in relation to the Group, the transaction is classified as a “Reverse Takeover” under the AIM Rules, and under the terms of the Sale Agreement, St. Barbara will be receiving New Ordinary Shares equivalent to between 23.1 per cent. and 28.1 per cent. (depending upon the eventual size of the Placing) of the Enlarged Share Capital. Accordingly trading in the Company’s Ordinary Shares was suspended on 28 October 2005 pending the publication of an admission document. The Company today announces that an admission document has been posted to Shareholders and, in accordance with the AIM Rules, has requested that trading in the Ordinary Shares recommences today. The Acquisition is subject to the approval of Shareholders at the Extraordinary General Meeting, details of which are set out below. Application will be made for the Enlarged Share Capital to be admitted to trading on AIM, subject to the Resolutions being passed by Shareholders at the Extraordinary General Meeting and it is expected that Admission will become effective and that trading in the Enlarged Share Capital on AIM will commence on 20 January 2006.
a six month option to purchase the Annean (167,761 ha), Norie (25,784 ha) and Cullculli (57,890 ha) pastoral leases. The consideration for the sale is comprised of approximately A$5 million cash, the equivalent of A$13 million in New Ordinary Shares at 50p per New Ordinary Share and the assumption by Mercator Australia of the rehabilitation bonds relating to the Meekatharra Tenements which are A$2.684 million (£1.13 million). The Acquisition will consolidate and enlarge Mercator’s holding over the Meekatharra Belt in the Murchison Gold Province, more than double the Company’s gold resource base and add significant additional exploration ground to the Yaloginda project area. Ownership of the Bluebird Plant along with the enlarged resource base is integral to giving the Company the capacity to commence gold production during 2007 should it reach its resource base criteria. 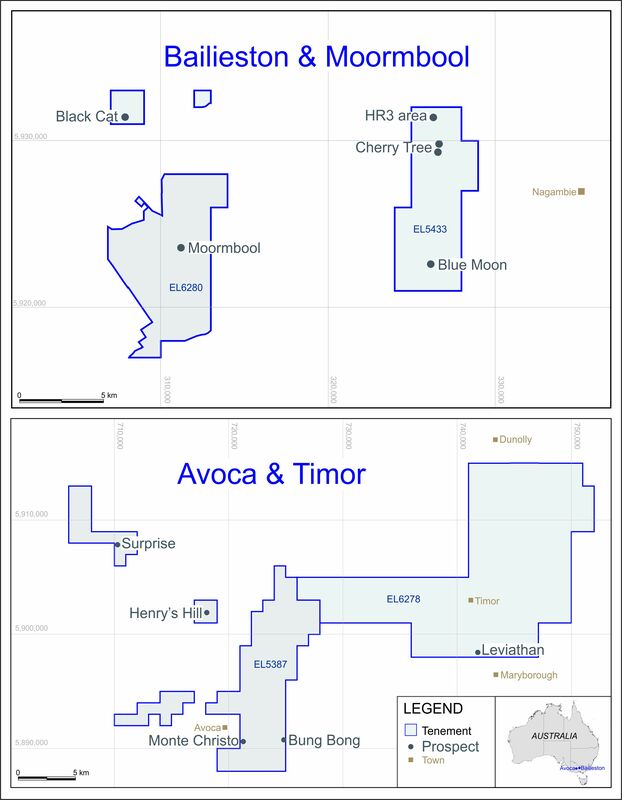 The Company is proposing to raise between £9 million and £13.2 million in the Placing, in order to fund the payment of the cash portion of the Acquisition, approximately A$5 million (£2.1 million), to increase exploration activity targeting additional quality resources, to convert resources into reserves and to provide working capital. Under the Placing the number of New Ordinary Shares to be placed at the price of 50p per New Ordinary Share will be between 18 million and 26.4 million, following the Share Consolidation. The Placing is conditional, inter alia, on the passing of the Resolutions at the EGM, Admission becoming effective and the Placing Agreement becoming unconditional in all other respects not later than 8.00 a.m. on 20 January 2006 or such later date as the Company, Loeb Aron, Beaumont Cornish and the Joint Brokers may agree (being not later than 8.00 a.m. on 28 February 2006). It is expected that Admission will become effective on 20 January 2006. The Placing Shares to be issued pursuant to the Placing will, following allotment, rank pari passu in all respects with the New Ordinary Shares including the right to receive all dividends and other distributions declared, made or paid after the date of their issue. The Placing Shares to be issued pursuant to the Placing will be created in accordance with the Act and will be in registered form. Pursuant to the Convertible Loan Notes Placing, on 14 December 2005, the Company issued £1,000,000 of Convertible Loan Notes. The Convertible Loan Notes have a term of two years from the date of issue and have a face value of £5,000 each. The Extraordinary General Meeting will be held at 11.00 a.m. on 18 January 2006 at the registered office of the Company at Peek House, 3rd Floor, 20 Eastcheap, London EC3M 1EB. At the Extraordinary General Meeting it is intended to propose a resolution consolidating the entire issued and the authorised but unissued Ordinary Shares of 1p each into New Ordinary Shares of 10p each in the capital of the Company on the basis of every 10 Ordinary Shares being consolidated into one New Ordinary Share. Full details of this resolution are set out in the notice of Extraordinary General Meeting.